This is one of THE epic downwinders - a 15 kilometer ride from Mui Ne to the nearby city of Phan Thiet. This has it all - numerous bays and beaches, little flat water spots behind sea walls, a super-clean wave break, a fleet of fishing boats to ride through, a harbour entrance to pass (or enter if you're crazy), and a big harbour wall with a fabulous flat water spot on the leeward side. The trip finishes on a beach with nice to epic waves (dependent on the current swell) with a cross to cross-on wind direction. You can blast down in 45 minutes, but best to allow 2 hours for the downwinder of a lifetime. At the end of it you can nail a beer or two, then all pile into a taxi and be back in Mui Ne in 20 minutes, at a cost of about seven dollars. Perfect! To do this trip you need to be a solid rider, able to cope with variable conditions - the wind you finish in can be 10 knots stronger than the one you started in! If you're keen to just ride the flat water, then its perfectly possible to take a taxi down to the harbour wall in Phan Thiet and launch from there. This is the best wave spot in the Mui Ne area, bar none. A long bay, to the north of Mui Ne, it gets great swell and the waves break quite a way off the beach - all adding up to a great place to ride your directional, if that's your thing. Towards the north of the bay (Pandanus) the waves tend to be smaller and cleaner. The southern end (Cemetery) is for the more hard-core riders, with waves often overhead, and sometimes much more than that. The wind tends to be cross-onshore. This spot is not for novices - experienced riders only. 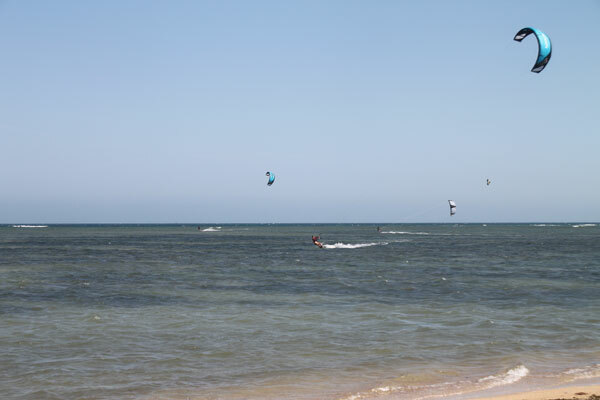 We have had some epic sessions here over the years - and its not unusual to be sharing the whole bay with just two or three other kiters or even have the place to yourself. There is a nice launch spot at Cemetery, where you can also get lunch and sunset beers. 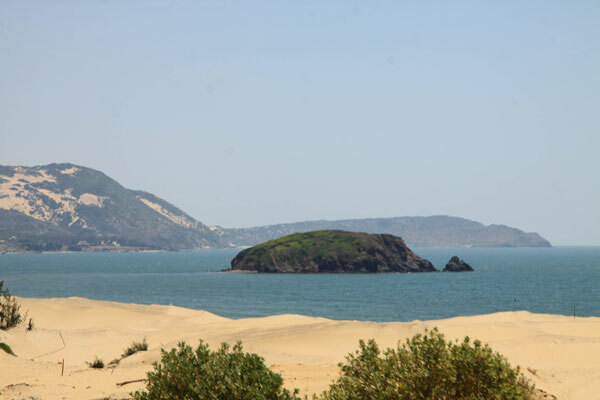 It is possible to ride from here to Mui Ne, around the headland, but its not for the faint-hearted! Mui Ne Legends: In 2005 B-lex from Holland managed to miss the beach - hell, its only about 5k long - and land (with his kite in the water) just before the headland...in 4 meter pounding surf, on an impossible rocky shelf. He should have trashed his kite, if not his body, but somehow both survived intact! Another wave spot, one more bay further north from Cemetery. The swell can be good here, but the wind tends to be almost straight onshore, making it a challenging place to ride, although rewarding when you get it right. Full Moon Village is actually a fabulous resort, completed in 2011, with a great bar and restaurant on the beach, a good launching area and lots of friendly beach boys to help you set up. Further up the coast from Jibes 2, this beautiful little island can provide a little flat-water spot and some very clean waves just north of it - but a slight variation from the 'perfect' wind direction results in very gusty conditions. You can also start a downwinder from here, down to Hon Rom - start early, its a long one. The headland between Jibes 2 and Hon Rom is big, scary and a long way from the beach. 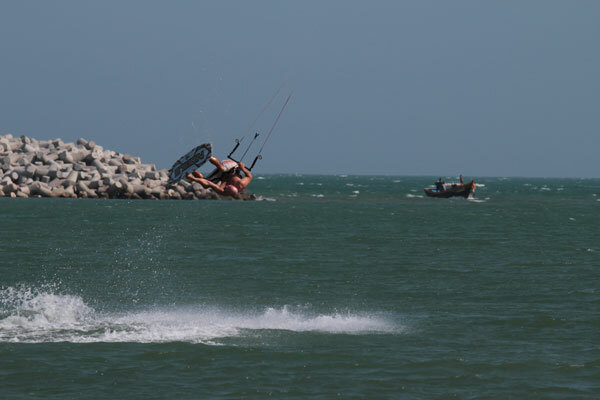 "Phi's Kiteboard Tours" run frequent tours from Mui Ne to an epic spot that has everything - close to the city of Phan Rang, about 3 hours drive north from Mui Ne. Protected reefs with butter-flat water, massive waves on the outside, with super reliable wind - often 25-30 knots or even more. The tour is open to beginners as well as more experienced kiters - but pack your small kites, you'll probably need them.Phi runs a fantastic tour, including bus transportation for you and your gear, and hotel costs. 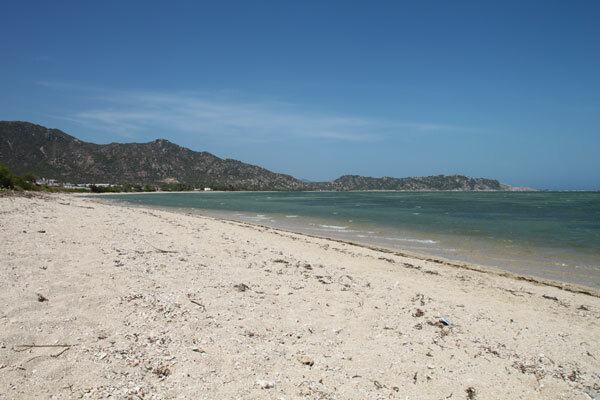 You won't find any information on this island in your Vietnam Lonely Planet. Six hours by ferry from Phan Thiet, Phu Quy (pronounced Phu Wee) has a superb flat water reef, and some epic wave breaks to explore - although these are for advanced riders only, if you f%ck it up, you're on the rocks. The island doesn't have much in the way of tourist facilities - a couple of very basic guesthouses, a few simple restaurants - but it is a beautiful island, right off the tourist track, and if you like hard-core travel, then place this is for you! Beware - the wind is always stronger than Mui Ne here, and kiters have been known to be stranded on the island - the boats stop running when the swell gets really big. Mui Ne Legends: Shina, Wessels and Blex visited the island for the first time 8 years ago, and recorded wind gusting 56 knots (we've got photos) and scary swell conditions on the way over...."we thought we were going to die..." - then enjoyed kiting in front of crowds of more than 150 locals.